We regret the closure of our popular Silom Complex shop (pictured below) due to the redevelopment of the building in which it had been located for the past six years. In the interim until we are able to reopen a physical shop we will continue to serve our customers’ needs via the Internet—our books remain available for purchase via our Website and other online retail facilities, such as ABE and BiblioDirect. 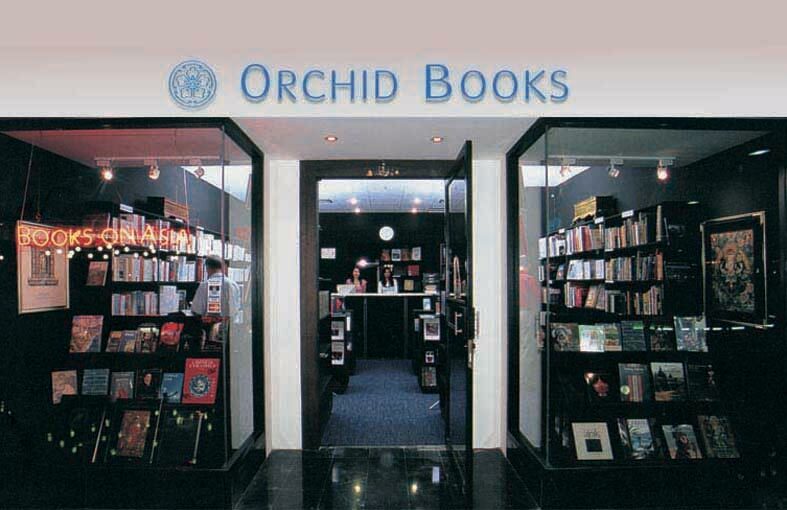 We also maintain a small selection of our stock for sale in our office premises on Lad Phrao Wanghin Road—if you wish to view these books please contact us for an appointment by phone at (02) 931-7779, or by Email to ‘orchidpr(at)orchidbooks.com’. Orchid Books is the only outlet offering all titles in print, not only from Orchid Press, but also from other local presses such as White Lotus Press, SDI, Silkworm Publications and River Books. Orchid Books also stocks many other fascinating new, as well as out-of-print, and rare titles on Asian countries, cultures, arts, histories, religions and other areas of interest, from fine publishers worldwide. To view a selection of the current titles we have available for sale on our site, please click on the ‘Browse Shop’ link to the right. If there is a title in our general area of focus on Asian cultural topics that you would like to enquire about that is not listed on our site, please contact us by Email—if it is available in our stock we will be pleased to process a mail-order purchase directly. If a title of interest is presently not stocked in our shop we will do our best to try to source it for you.